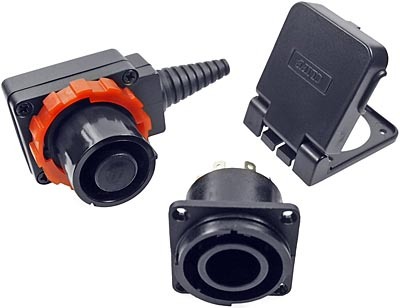 Our CliffCon® 8 pole connectors are intended for any application where a reliable, locking, touch-proof connector system is required and are ideal for lighting, chargers and instrumentation. Rated maximum 30A 250V AC. These have a tough, durable construction with an easy locking mechanism, integral cable clamp and touch-proof contacts to EN60065, IEC348 and EN61010-1. General features are similar to our 4 pole version. The 8 pole line connector is only available in a 90° black version. A dust cover is available for the chassis socket. Connections to the socket may be made by soldering or Faston receptacle and to the plug by soldering or screw. Faston® quick disconnect on panel mounting socket. Choice of flat head screw / washer or solder tag connections in cable plug. 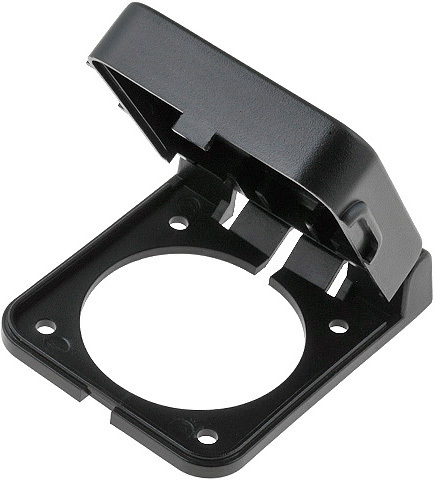 Integral cable clamp for 6 to 15mm diameter cable. Panel mounting connector is airtight. Plug and socket mated meets IP55 minimum. Rated Current: 8 pin 10 A RMS @ 80°C, 15 A RMS @ 20°C, (same current on all 8 pins flowing through both plug and socket). Rated Voltage: 250 V AC maximum. Contact Resistance New: < 8 mΩ. Capacitance between Terminals: < 3.5 pf. Insulation Resistance: > 20 MΩ @ 1000 V.
Operating Voltage: -20 °C to +80 °C. Recommended Wiring: pin 1 designated for earth ground. See the data sheet: CliffCon® 8 Pole Connectors (opens in a new window). 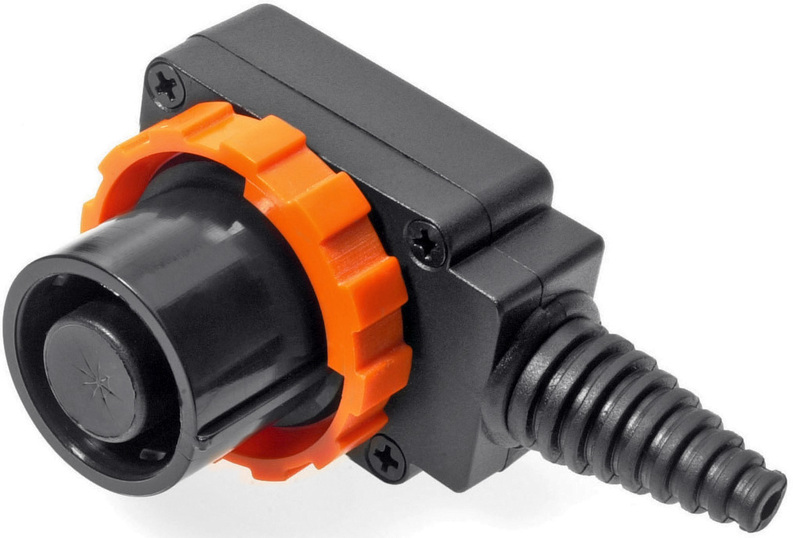 FCR2072 8PC/P Screw CliffCon® 8 pole connector plug. FCR2073 8PC/PS Solder Tag CliffCon® 8 pole connector plug. 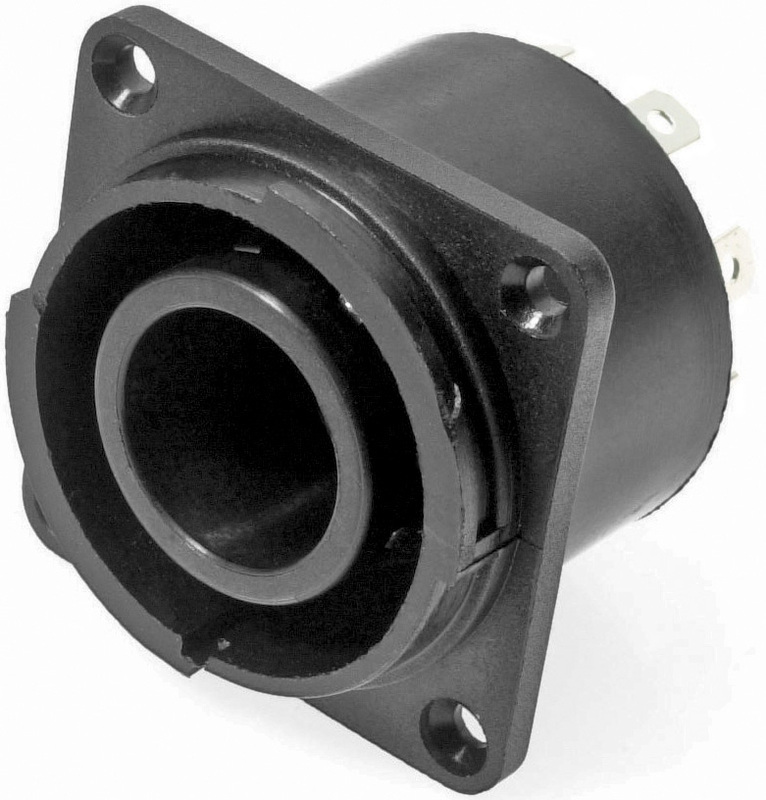 FCR2074 8PC/S CliffCon® 8 pole connector socket. FCR20742 8PC/S/PC CliffCon® 8 pole connector socket. CL2070 8PC/C CliffCon® protective cover assembly.